Share and discuss awesome flags, flag designs, and flag policies! New Mexico simply has an awesome looking design. I have a thing for the fleur-de-lis. Yellow/gold on white isn't really the best idea, and the French one is simply cluttered to be honest, but somehow it still has its charm! Love the quirky design on the former, and the simplistic yet powerful one of the latter! I like the Scandinavian Cross design, mainly because it's simple and so strongly associated to the particular cultural sphere. Canada, it has the sweet combination of a national symbol that is simple enough without being used by everyone (such as a star), and yet a very simple design. Montenegro's flag ignores the simplicity rule, but looks quite awesome still. For nation-states I tend to like simple designs and color schemes, probably as a result of being European and used to the flags here. Location: I've heard it both ways. As for real world flags I'm found of some of the Caribbean one's. Trinidad and Tobago - Simple, three colors but still very distinctive. Jamaica - The same. Three colors and simple. I quite like uncommon palate of green, yellow and black. Bahamas - Another simple three colors with the bonus of a non standard shade of blue. In the realm of conworlds, I haven't really made any flags I like much. The only one I felt slightly happy about was this one. The black circle represents an eclipse when the sun and moon gods are joined. The blue line indicates the ocean which divides the world. Because I like double headed eagles. I like the proposal flag for Greenland, so I pretty much just inverted the color scheme to get the Bjarmlandic flag. @Bianca: I like the general idea of your flag, and the vertical design is nice. There's just something about it that doesn't sit right, though... The colors are nice, and the shapes aren't too bad. I don't know why it feels a bit weird . I guess it feels too empty, somehow. Ceresz wrote: @Bianca: I like the general idea of your flag, and the vertical design is nice. There's just something about it that doesn't sit right, though... The colors are nice, and the shapes aren't too bad. I don't know why it feels a bit weird . I guess it feels too empty, somehow. Agreed. I think it might need a strong background color other than white. Or possibly a different composition (maybe cut some of the length off the bottom). Also, I like the current Greenland flag. Nah, the color scheme is fine. It's just... I think that it's a combination of the circle and the line being too thin, but thickening the line and keeping the circle looks even weirder. You'll just have to mess around with it, I guess. And yeah, I like the current flag of Greenland too. I have recently taken a bit of an interest in vexillological traditions, e.g. the traditions in many countries in Northern Europe that normal rectangular national (and other regional) flags are not to be hoisted at night-time, but there's these thin triangular strips or trapezoid (basically very thin trapezoids at that), which can be hoisted all day around. These don't seem to have an English name whatsoever, but in the languages of the areas that have them, they go by names such as vimpel/Wimpel/vimpel/..., with Finnish being the exception having "viiri" for them. Might be closest to the English concept "pennon" or "standard". Anyone have a system of customs and things for flags, distinctions between use of different types of flags, etc? Rozwiland has a flag whose color scheme is red, green, black. It has an African feel, and the flag itself is one of those triple-triangle shaped standards. But the real vexillum of power is what you see in my little homebox thingie. I want to say here that the symbols were arrived at completely by chance - random doodlings in old notebooks, if you will. I do not represent, nor claim to promulgate, either the Hebrew Israelites, the Rosicrucian Order, or any one else (Knights of Jerusalem? ), in my representation. It's purely coincidental. The Vexillum is a combination of three prominent symbols in my conworld. the Topmost is three feathers (also seen as three ears of millet) which symbolize the Divine: Inspiration, Blessing, Grace, Salvation, etc. Prophets, Enjilix (divine-beings), and the Holy Creature (huvni in Rozwi) [which looks like a two-legged Simurgh] are depicted with a crown of these. The middle symbol is the "Sticks". Two of them are the Creative wands/batons of `Elhev, known as the Youghad /yo:ɣɒd/ "Lord King" to the Dream Weavers (vid. lawful god wizards, mages), the Faithful, and the Divine Doctrinists. The sticks are known as Hye /hje/ and Beya /be.jɒ/ - "Might" and "Ability". These sticks are crossed by the sticks of the Evil One. More later. Suffice to say the two pairs criss-cross to form a Unicursal, within which the world/cosmos/universe was is and ever will be created. Cornucopia image for my conworld. These frames were often carried and decorated during spring and autumn festivals, and summarily burned as a symbolic sacrifice of the harvest (expected or collected). Just discovered this flag. I like simple color patterns with assymmetric distribution, and it also has a symbol that is simple yet distinctive! I played with your design a bit, Ossicone. I hope you don't mind. Last edited by lsd on 21 Aug 2013 15:45, edited 1 time in total. The flag of Canada and the Georgian flag. Red and white just work. Ceresz wrote: I played with your design a bit, Ossicone. I hope you don't mind. It is nice. But it needs to be vertical and the white still bothers me. I'll probably try tweaking it later today. I concur. Simple is the best. I never really understood flags in a way, but I like them anyway. My favourite is the flag of Nepal. When I found out that a few sub-national regions in Scandinavia had their own flags, I tried, just for fun, to make one for the region I live in; Uppland. It's based on the Åland flag, but with the green colour added (inspired by the Sapmi flag) to symbolize the mainland west of the Åland islands, where the region is located. And also because I just happen to like green. It can be found here. The problem with that flag is that it's simple to the point of not being distinctive anymore. Allekanger wrote: When I found out that a few sub-national regions in Scandinavia had their own flags, I tried, just for fun, to make one for the region I live in; Uppland. 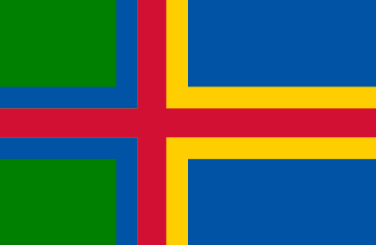 It's based on the Åland flag, but with the green colour added (inspired by the Sapmi flag) to symbolize the mainland west of the Åland islands, where the region is located. And also because I just happen to like green. It can be found here. Uppland is one of the regions without a local flag, but I'd say use a simpler color scheme. I don't really like that nuance of green. 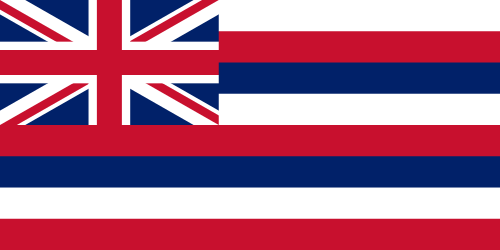 It'd be okay with one-colouerd flag, if it was darkish blue or something. 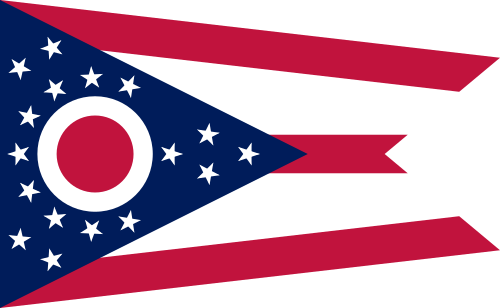 In the realm of US state flags, I actually don't like that many of them. The big ones I do like are are Texas, Hawaii, Colorado, Indiana, and Ohio. Simple, clean, and bold. Makes a statement. 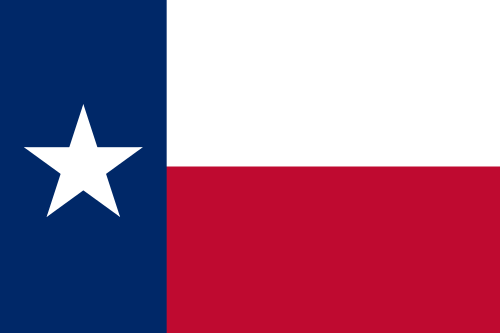 Simple and, interestingly, the flag for my home state. Has personality, but manages to do it well without looking too horrible. State name appears, but it's neither gaudy nor hideous like the Wisconsin flag is. As for conworld flags, I've made a few. Flags of the 18 regions of the federation. Looking for subjects to appear on banknotes. Inquire within. Unfortunately, they adopted another flag.